Washington, D.C. – Robin Williams, the associate director of the United Food and Commercial Workers International Union’s (UFCW) Civil Rights and Community Action Department, was elected to the National Association for the Advancement of Colored People’s (NAACP) National Board of Directors on February 13. Williams is a lifelong community activist, organizer and civil rights veteran and has worked at the UFCW for 17 years. The United Food and Commercial Workers International Union (UFCW) represents more than 1.3 million workers, primarily in the retail and meatpacking, food processing and poultry industries. The UFCW protects the rights of workers and strengthens America’s middle class by fighting for health care reform, living wages, retirement security, safe working conditions and the right to unionize so that working men and women and their families can realize the American Dream. 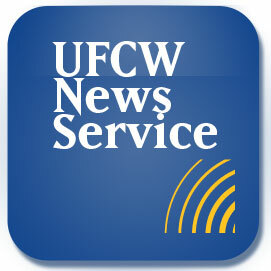 For more information about the UFCW’s effort to protect workers’ rights and strengthen America’s middle class, http://www.ufcw.org/, or join our online community at http://www.facebook.com/ufcwinternational and https://twitter.com/UFCW.